← Cage Fighting for Toys For Tots! 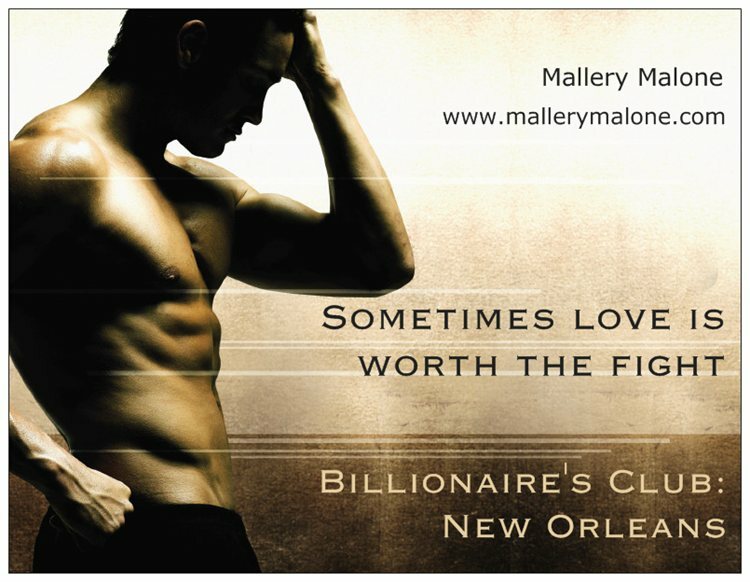 I’m currently working feverishly to finish the second novella in the Billionaire’s Club: New Orleans trilogy, which features a hot Muay Thai champion named Raphael who really has a thing for ropes. I so love this guy! But not as much as I love Sebastian. And then there’s dark and dangerous Gabriel…sigh! Anyway, I thought I’d share a little promotional postcard I just ordered. Enjoy! Posted on January 23, 2014, in Uncategorized. Bookmark the permalink. 1 Comment.